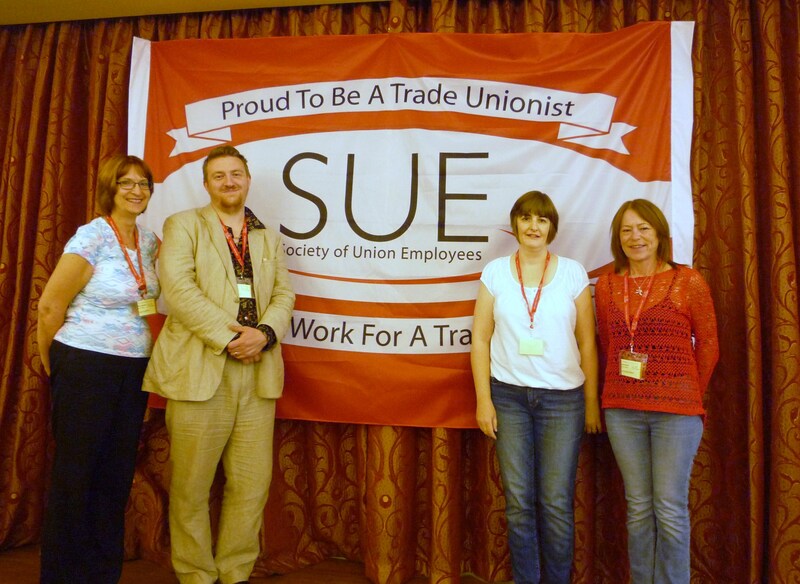 Welcome to the SUE East Midlands Branch. We are a growing branch of SUE and welcome members from across all grades of UNISON staff whether regionally or branch employed. We try and hold regular meetings for SUE members in the region to discuss issues of concern and ensure that members receive feedback from SUE reps attending meetings of the national SUE Executive. We encourage members to get more active within SUE through taking up branch positions which are elected bi-annually at the branch AGM. We also encourage SUE members in the region to take up the excellent learning opportunities provided through our affiliation to the GFTU. Further details can be found on the training pages on this website or please contact Angela Gerrard, SUE National Education Officer. As SUE Branch Officers we attend meetings with Regional Managmement to discuss issues affecting our members in the region, including attendance at joint Regional Health and Safety meetings. Joint Branch Secretary – Jocelyn Pettitt-Rose and Rachel Doyle. If you would like to know more about SUE or are interested ingetting more active in SUE, please contact one of the East Midlands reps.
East Midlands Delegation to SUE National Conference 2015.